Hawaii has an open records law, similar to the federal "Freedom of Information Act." A few individuals are looking for equal justice under that law. The articles below are suggested, roughly in this order, to understand the events, aspects, and nuances of the attempts to discover what the alleged "Hawaiian Birth Certificate" of Barack Obama actually is and what has been done with it, by whom, over the years. 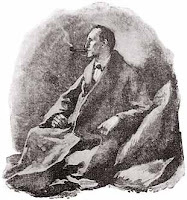 Arthur Conan Doyle originally wrote his Sherlock Holmes stories as serials, published in a magazine. That art imitates the real life of a journaled investigation. Further reading may be done at The Right Side of Life. There you have it, for now, with a few more strands, knots, and loose ends, all hanging on the back side of the tapestry -- the side upon which we are presently kept. Listen to MissTickly, a.k.a., TerriK on "The Awakening," this Monday evening, 10/12, 9-11pm ET,,, 6-8pm PT (and 4-6pm in Hawaii) and ask her your questions. Listen to Leo Donofrio on "The Awakening," archived from Monday evening, 10/5 9-11pm ET,,, 6-8pm PT (and 4-6pm in Hawaii). At the back of the tapestry? Or, swept under the rug, along with your Constitution? It may become a flying carpet. What can any US concerned citizen do to help expose this fraud? (1) You and I can file an election fraud complaint against the following people in each state. Howard Dean, former chair, dnc services corporation, and Joseph E. Sandler, former general counsel; chair person of DNC in each state, DNC treasurer in each state; Nancy Pelosi, acting in a non-governmental role as chair, 2008 DNC convention and Alice Germond, ssecretary DNC convention. (2) How to request government records of obama in Hawaii and expose the imposter obama. Obama is like the pea under a cup in a shell game. The state run media keeps moving the, "PEA", around to trick the American public. When America is able to beat the shell game the jig will be up and obama will be exposed as an imposter. Op.No. 84-14 Part III Letter instructions for those individuals who file UIPA requests. The ‘statement of disagreement’ is expressly not to be recorded [with the State Registrar], but to be maintained ‘on file’ at the agency with the locally filed records. The letter was written in 1984. TerryK indicates to get a clearer picture on how the administrator handles this process we would need to access the Vital Statistics Administrative Rules. However, they are being updated and are currently inaccessible. This is similar to what the "health care bill" is in that no one has seen the final rules. Where is the the obama ‘statement of disagreement’ filed? That question is up in the air. Its seems the imposter filed one but there are only "old rules" to use as a guidelines to know where the record is filed and at the moment we can't know where to look. Its like changing the rules in the middle of a game. Leo was right, this is a "game changer". Its a shell game. Leo Donofrio and TerryK are good playing shell games and can guess correctly under which cup the obama statement of disagreement was filed. Once in hand this would prove obama had his amended colb paperwork rejected by Hawaii and prove the colb on his web site is BOGUS. This would tell the world obama is a FRAUD and IMPOSTER.